You will be escorted into Saint Mark's Basilica by your private guide and be intrigued by the fascinating history of La Serenissima. 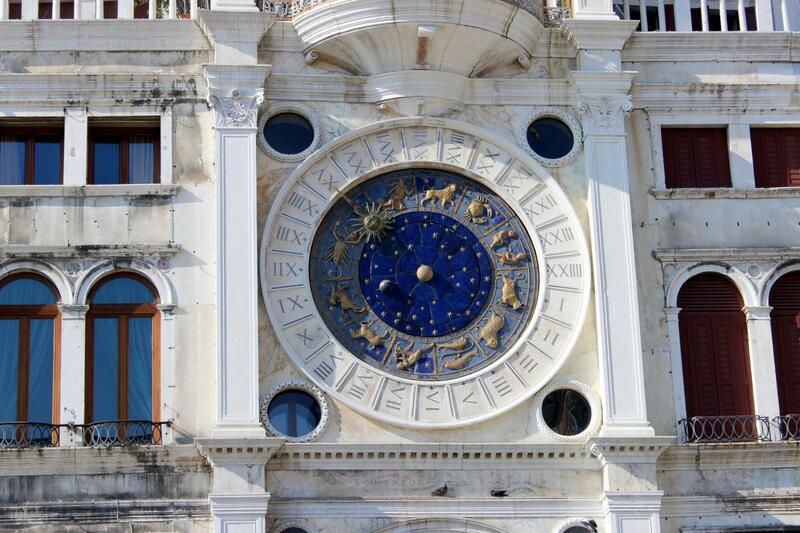 Then Discover Venice’s most unusual and characteristic corners during this atmospheric and informative tour, learn about how Venice lost out on the trade routes when the New World was discovered, leaving Venice in her medieval splendor forever. Explore this fascinating city, whilst listening to local stories and curiosities and experience how real Venetians live in this unique city today. This two-hour tour starts in Saint Mark’s Basilica which majestically symbolizes the lagoon and enshrines the city’s history and Saints relics. With its awe – inspiring gold mosaics our talented guide will walk you through to one of the main highlights of the Saint Mark's Basilica, the “Pala d’Oro” (Golden altar), with masterpieces by generations of Venetian Goldsmiths, universally recognized as one of the most refined and accomplished works of Byzantine craftsmanship and the most precious treasure in the Saint Mark's Basilica. Then you move to Saint Mark's Square where you will have the opportunity to enjoy this living masterpiece, discover its origins. Leaving the Square you will enter into a labyrinth of narrow alleyways, squares or “campi” before you arrive to the renowned Fenice Theatre. One of the most famous Opera houses in Europe, and probably that with the most troubled history. From here you will take the back streets away from the crowds and pass over picturesque bridges to the concealed square by Fortuny Palace, what was once the home and studio of Mariano Fortuny. 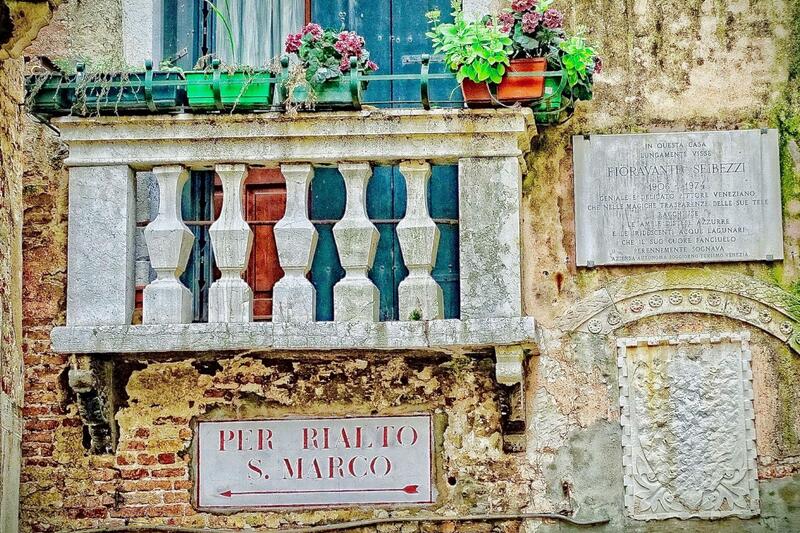 Have your camera ready, as you will gain access to a spectacular view of the Grand Canal from this hidden point. Your next stop will be to discover another architectural delight, and a typical Venetian folly, dating back to 1499, ’The Bovolo staircase’. Hidden amongst the winding alleyways, this ornate structure is the perfect example of Venice’s flamboyant history, and the architectural style of the day. 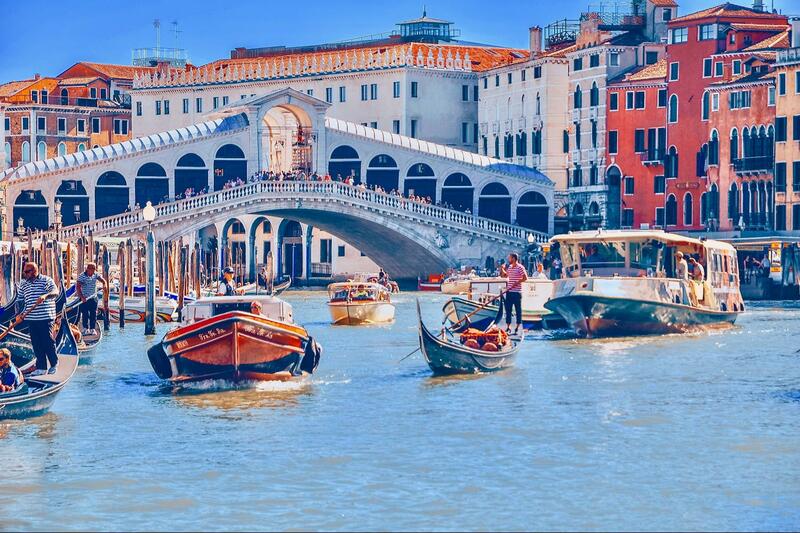 The tour will conclude having admired the Rialto bridge, what was once the historical center of the commercial area of the city. 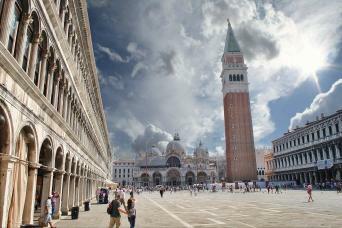 Hotel pick up on request, if your hotel is in the Saint Mark’s Square area. Backpacks are not allowed inside the Saint Mark's Basilica.